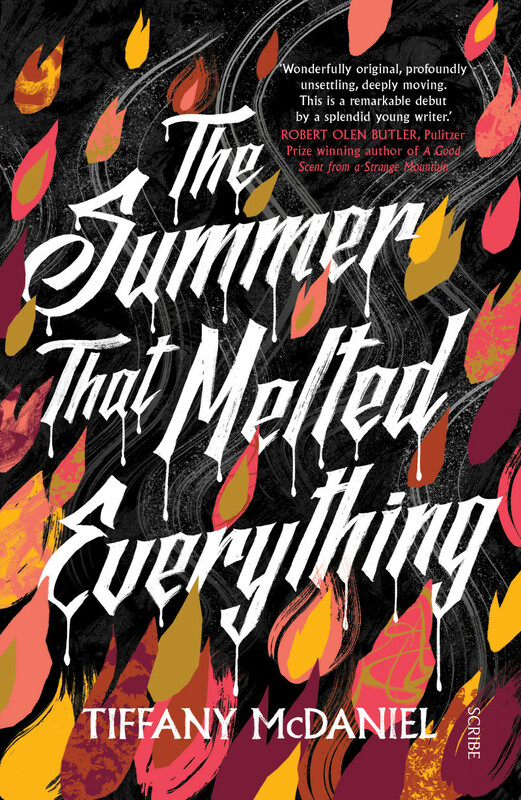 The Summer That Melted Everything is a novel that defies characterisation. Part coming of age story, part American gothic, part social commentary. And it manages to be all of these things at once while plumbing the depths of the worst of humanity with poetic prose. It is 1984, a year of wonders, and Autopsy Bliss, long time prosecuting attorney in the town of Breathed, Ohio, puts an ad in the newspaper inviting the devil to come to the town. And the devil appears, possibly, in the form of a lost thirteen-year-old African American boy who instantly befriends Autopsy’s youngest son Fielding. Whether Sal, as he calls himself based on the S from Satan and L from Lucifer, is actually the devil remains ambiguous through the book. Certainly he seems to know things that he should not know and his presence seems too impact on the weather of the town which becomes unbearably hot. But in many ways, Sal is just a thirteen-year-old boy. The story of that summer is narrated by Fielding from a remove of seventy years. An ageing Fielding lives in an Arizona trailer park in a very sparsely described mid-twenty first century. But the affect of those months in 1984 is still very much with him. An extremely unlikeable character as an old man, Fielding’s reasons for bitterness become increasingly apparent as the story of his thirteenth year unfolds. The Summer That Melted Everything is often emotionally difficult read. McDaniel deals with, among other things, racism, homophobia, AIDS, cults, child abuse and domestic violence and the way people deal with grieving and loss. These events all swirl around a thirteen-year-old, trying himself to make sense of the world and fit in when fitting in often brings pain to others. The Summer That Melted Everything is an emotional roller coaster. While McDaniel tends to telegraph the key emotional events, she still manages to land the punches. This is a brave, confronting, often beautiful and different debut and in a market that often seems overcrowded with romance and serial killers that is something to celebrate.